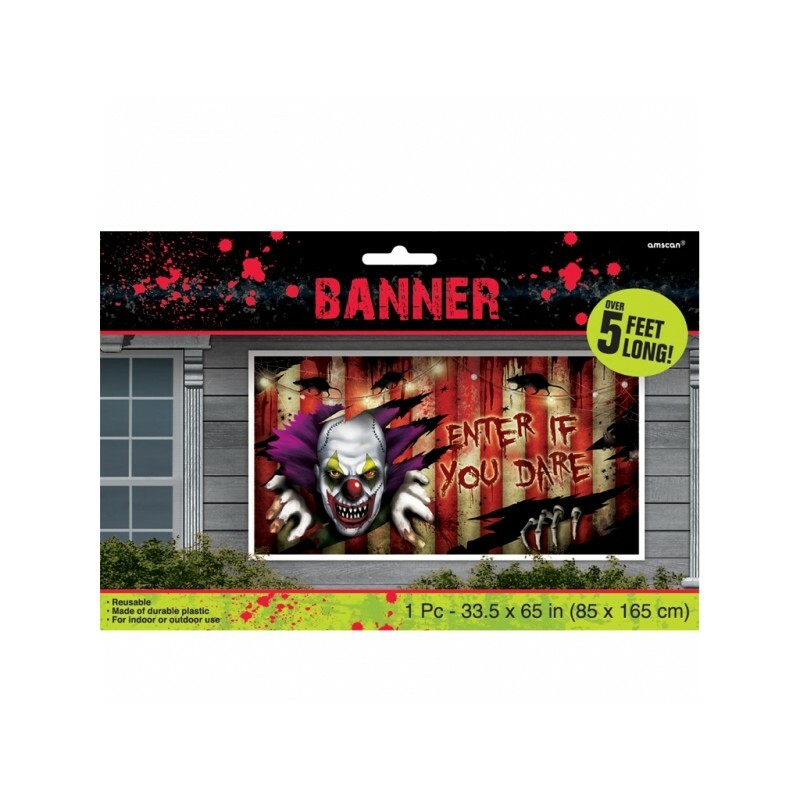 Enjoy all the scare of the fair with this Creepy Carnival Banner Halloween Decoration. 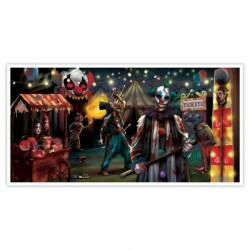 The Wall Banner features an evil clown looking back at you through the circus tent curtains. 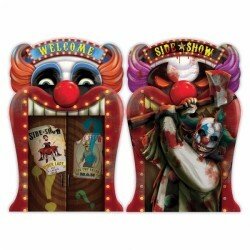 The reusable plastic sheet is simple to mount to most flat surfaces and will instantly transform any room into a Horror Show. 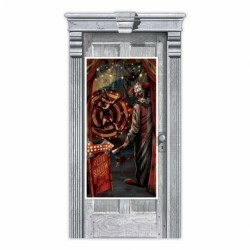 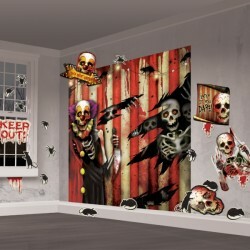 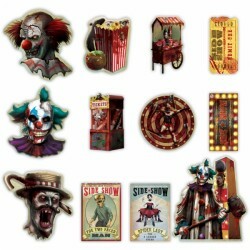 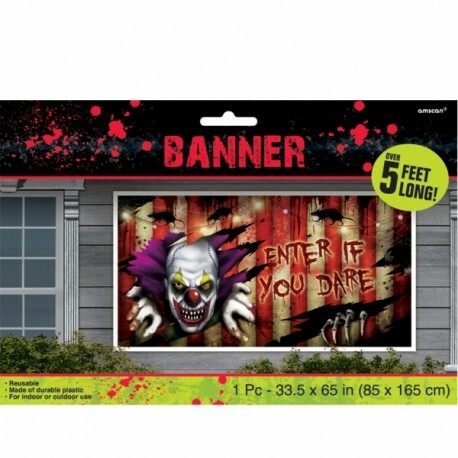 The Creepy Carnival Banner Halloween Decoration measures 1.65m x 85cm.